We’re seeing more hope for Android (s goog) developers, especially game developers looking to make money off the platform. Stores like GetJar and Amazon’s Appstore (s amzn) are pushing more downloads by offering software exclusives while other companies are establishing funds to help spur on Android development. And there are increasingly new monetization models like WildTangent’s rental service for Android games. Now, New York City-based Exent is launching the first subscription mobile gaming service for Android called GameTanium Mobile, which allows users to gain Netflix-style (s nflx) all-you-can eat access to more than 75 games for $4.99 a month. The service builds off of Extent’s existing subscription service for online games, which powers on-demand gaming platforms for companies such as Verizon (s vz), T-Mobile and Qwest (s q). The hope is that GameTanium will prove useful for gamers, developers and ultimately, carriers as well. For consumers, GameTanium will bring a simple and familiar way to discover and play Android games, which is an increasing challenge as Android Market’s library outpaces its discovery tools. 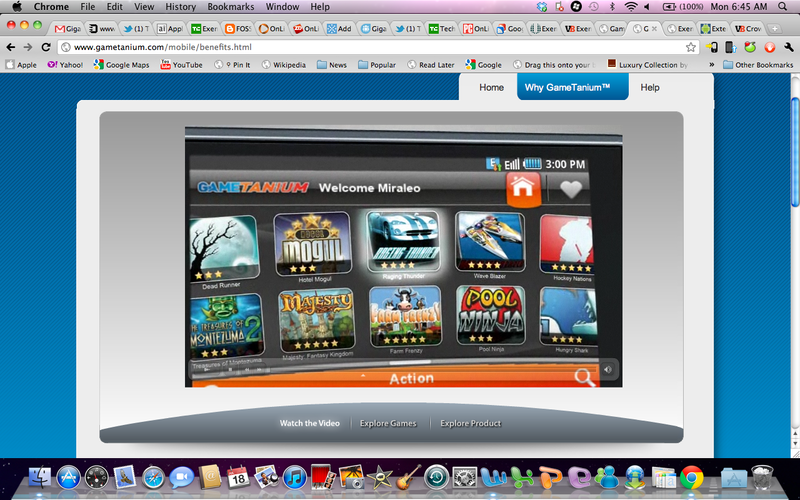 GameTanium’s editors will curate a list of games that it believes will prove popular with users. For developers, the service will be another tool to market their apps, increase their revenue and build a longer-term relationship with users. Offering apps on the service may not result in the same immediate impact of a paid download, but it can provide ongoing revenue and a chance to build loyalty and engagement with a consumer. And it might prove easier to extract money from consumers because they won’t have to keep going through a check-out process for downloads; they can just pay once. Exent will be adding to its stable of games and expects to have more than 200 by the end of the year. Launch titles include Farm Frenzy, Wave Blazer, Speedx 3D, Majesty Fantasy Kingdom Sim and others. Hopefully, it will be adding content from some of its existing partners such as PopCap, Ubisoft (s ubi) and others. Exent is also looking to tie its products together allowing gamers to eventually start a game on one device and continue playing on another devices. In addition to its direct-to-consumer play, Exent is looking to also offer the service as a white label product for mobile operators, allowing them to have their own gaming service. The company said the product was built with carriers in mind and will give them flexibility to brand the user interface and customize pricing and packages. It’s going to be interesting to see how successful a subscription service can be. Much will depend on the quality of the games and perceived value of the service. If GameTanium can line up enough appealing titles, it could prove to be a good alternative to downloads or game rentals. We’ve seen the success of Netflix and now Spotify, which prove users like subscription services as long as the libraries are big enough. A strong launch could also be a good sign for other subscription services like OnLive, which is bringing streaming on-demand games to Android tablets and the iPad this fall. And it will ultimately help spur on gaming on Android, which is still behind compared to iOS (s aapl) in terms of apps and revenue.